'Solidarity' Is the Cry at the Global Climate Action Summit. But It Means Different Things to Different People. 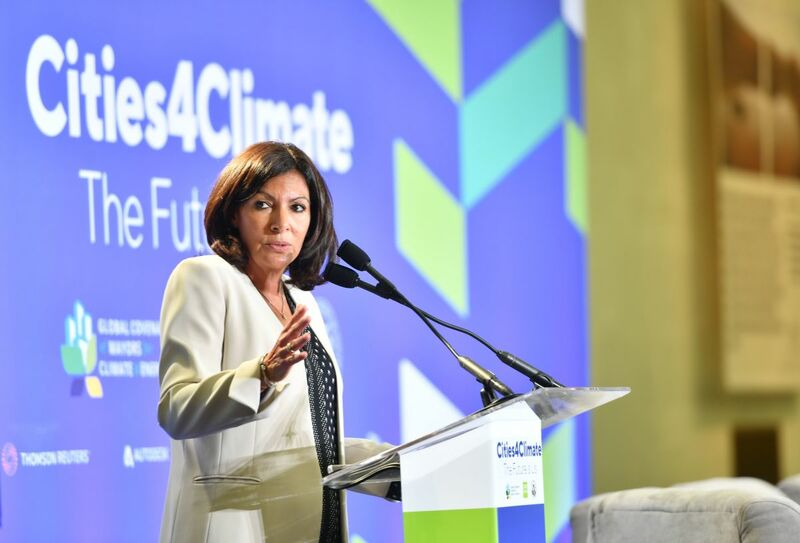 Paris Mayor Anne Hidalgo speaks during the C40 Cities "The Future Is Us" kickoff event at San Francisco&apos;s City Hall on September 12th, 2018. 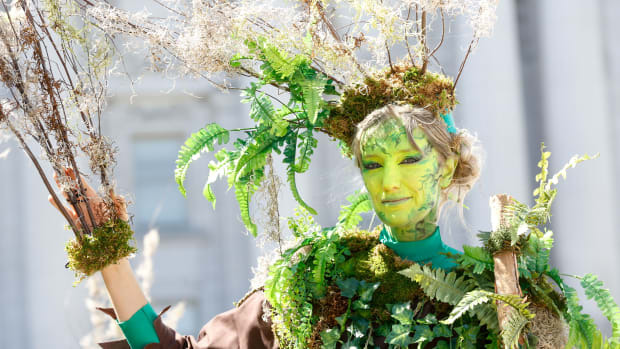 The Global Climate Action Summit in San Francisco this week is positively thick with solidarity. 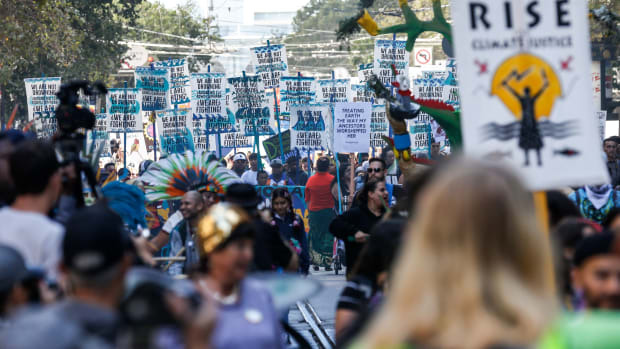 On Saturday, environmentalists, labor organizers, and indigenous activists convened a series of marches around the world to show solidarity with the Global South while demanding a swift end to the carbon economy and a just transition that honors native rights. On Wednesday, the mayors of the world embraced one another beneath the august arches of San Francisco City Hall, declaring that "The Future Is Us!" while offering mutual praise for their shared commitments to better electrical grids and safer bicycle lanes. 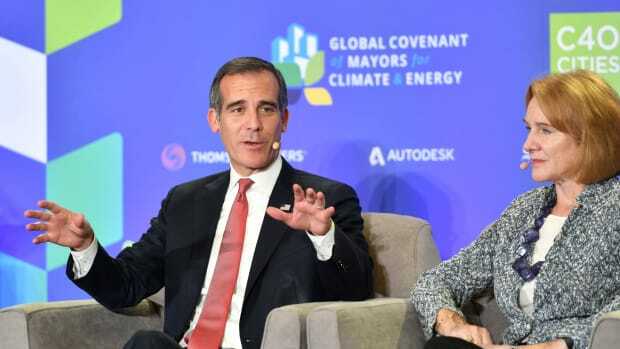 "We can achieve [climate solutions] by working across our borders in global communities," San Francisco Mayor London Breed told the assembly, before bestowing a "bienvenue" and a hug on Paris Mayor Anne Hidalgo, and reminding the crowd that Paris is San Francisco&apos;s "sister city." At the same mayoral event, Christiana Figueres of Costa Rica, former executive secretary of the United Nations Framework Convention on Climate Change, basically thanked President Donald Trump for bringing the environmentalists of the world closer together, a sentiment echoed by Salt Lake City Mayor Jackie Biskupski: "If there is a silver lining to this president, it is that he leaves no ambiguity," she said of Trump&apos;s policies on carbon and his announcement last year to withdraw the United States from the Paris Agreement. "It has instilled a sense of urgency among mayors." The mayors of the world stand united as never before. 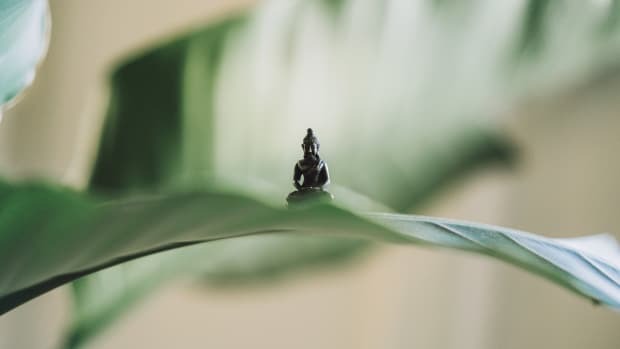 The problem is that the people marching outside the summit are furious with the people inside it, and most of the people inside don&apos;t seem to understand fully why. 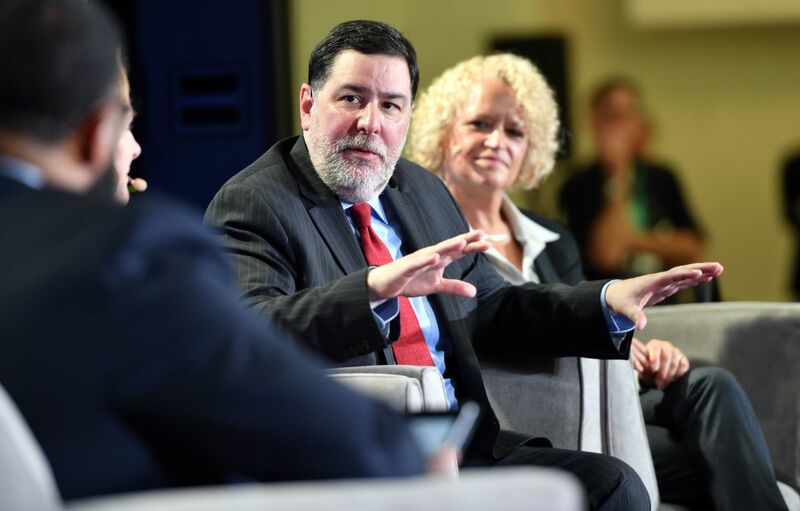 At the C40 event, Pittsburgh Mayor Bill Peduto drew perhaps the clearest connections between development, economic inequality, and environmental injustice during a panel moderated by Jamil Smith of Rolling Stone. "What we have to do as environmentalists is tie these issues together," Peduto said on Wednesday, describing a family of working people who find themselves displaced thanks to rising property values, and despair when they see that they can&apos;t afford to enjoy any of the new amenities that their displacement has made possible. The answer, Peduto said, is to institute an "American Marshall Plan" for renewables "that will re-employ people to build the next America." Peduto pointed to the progress that Pittsburgh has made on microgrids, and on the alliances he&apos;s developed with the Danish government and the Department of Energy, as evidence that, when you work with partners in Europe and the federal government, you can open up whole new sectors of the green economy while lowering your city&apos;s emissions substantially. Pittsburgh Mayor Bill Peduto speaks during a panel discussion at the C40 Cities "The Future Is Us" kickoff event at San Francisco&apos;s City Hall on September 12th, 2018. "You want to turn a coal-miner into an environmentalist, put a paycheck in his hands," Peduto said to resounding applause, sounding suspiciously like a national candidate rather than a mayor. 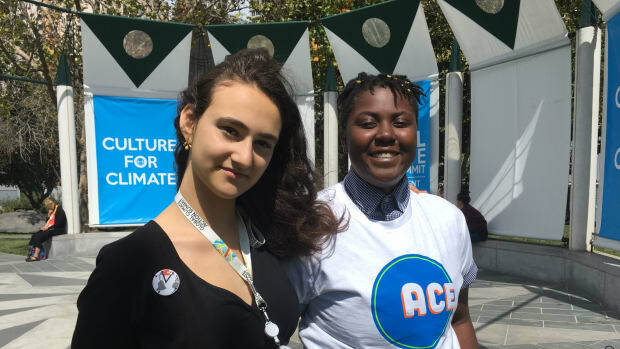 But solidarity has its limits, even (or perhaps especially) this week in San Francisco—because here, as at any climate summit, some of the most important voices are being excluded. Indigenous leaders say that a face-to-face meeting with Brown is crucial in getting the GCFTF to push back against REDD+, a UNFCCC forests initiative that includes a carbon-credit trading program, and that many critics characterize as a license to continue deforestation and the displacement of already imperiled communities. "The governors, certainly in the case of Ecuador, have to consult with the legitimate owners of the land, with us, the indigenous communities, before coming to any kind of agreement among themselves about the uses of our lands and forests," says Marlon Santi, president of Ecuador&apos;s indigenous political party, Pachakutik. "We do not agree with the way they have come here to reach agreements among themselves without consulting with us." As of Wednesday night, Brown had still not agreed to meet with these leaders. In the meantime, a broad coalition of first peoples who traveled to the GCAS from around the world are continuing to practice solidarity away from the convention center, in places where they are more welcome: in Potrero del Sol Park, for example, which on Tuesday played host to the all-day "#ItTakesRoots Solidarity to Solutions" summit. There, activists from Black Lives Matter and tribal leaders from South America sat, danced, sang, prayed, and trained together. They shared best practices for mobilizations and messaging. The solidarity they expressed was without qualification. There were no gatekeepers. As the sun set over the park, attendees joined sacred dancers in a closing prayer circle, within which the Danza Azteca Grupo Xiuhcoatl, a local troupe, danced in traditional garb. The scent of burnt copal was strong in the air as one of the dancers offered a parting blessing: "Now that we all know each other, we can help each other&apos;s struggles." At an idyllic retreat in California, the architect of the Paris deal argues that it can.